Chains, Tongs, cables/chokers, whats your favorite? 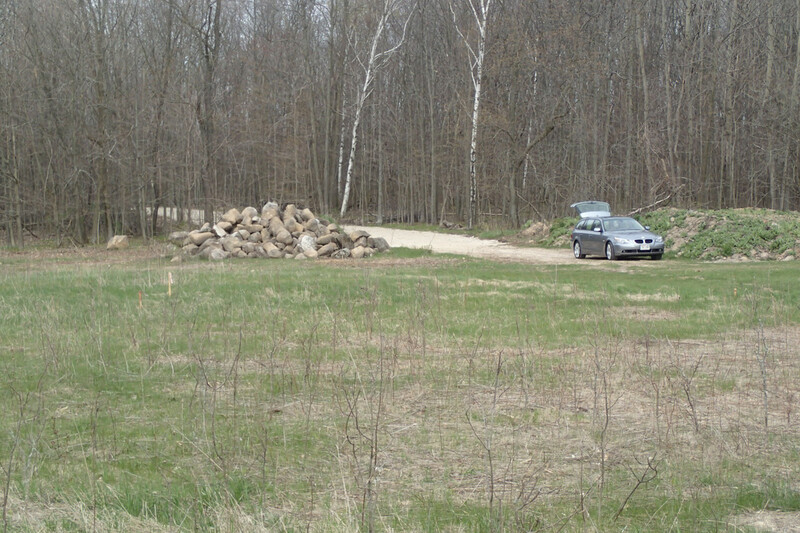 Discussion in 'The Wood Pile' started by B.Brown, Feb 13, 2019. 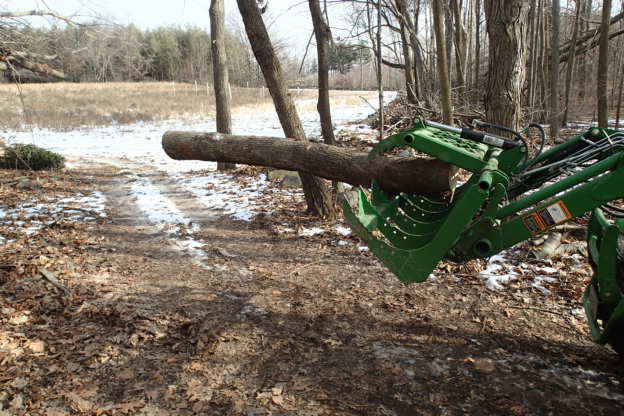 Whats your favorite way to retrieve wood logs? I've got all the above, and in different lengths, also have a good block to chain up to a stump to pull logs out of piles, or on the flats. I prefer a good old choker, i can slip the nubbin under about any log, hook up the bell and yard it out. Chains can be a little more work, ever try to PUSH a chain? Its tough to do, lol. I've got a really nice 20 ft choker, a nice long 20 ft cable with 2 eye's in it. And, a nice heavy duty 5/8's choker that was a little frayed, but, works great for me on the front or back of the pickup. I've even got some really light weight cable if i want to just use that as well, they are all different lengths, and i have a use for each of them. Sure makes getting the nice big stuff out, and, it gives me a break when i'm getting the longer stuff out to where i can cut it up easier. I do have a set of tongs as well, but, actually haven't used them that much, the choker's seems to see the most use. I like to put a wrap around a log, with the choker to spin it if its a big one, then it gives it a good start on a pull. Screwloose, amateur cutter, Slocum and 3 others like this. We use chain and tongs with FEL on tractor. Screwloose, Winston, amateur cutter and 3 others like this. I use a variety of different methods. If I’m pulling a bunch of small diameter stuff, I use some 1/8” cable slings connected to a long 3/8” cable. I would rather have the small cable break($.87 each) than have my other cable broke again. If it’s too big for the ATV to pull, I usually use a combination of the 3/8” cable, tongs or log chain on the log, or a nylon tow strap. I always have an old rubber backed rug tossed over any of the methods to prevent a whiplash accident if something big breaks(the rug also works good to lay on if I have to crawl under any equipment to work on it. I also use the tongs on the end of a 3pt post auger to lift rounds onto the splitter or to lift logs up to cut or get a cable or chain under to pull easier. Screwloose, Winston, amateur cutter and 4 others like this. Grapple on the front of a tractor. Screwloose, clay shooter, Winston and 7 others like this. I pull everything out to my trails with a winch with rope cable and lifting strap. I don’t like wire cable. Screwloose, clay shooter, Firewood Bandit and 12 others like this. Wow, your woods are thick with brush. Mine are much more open. 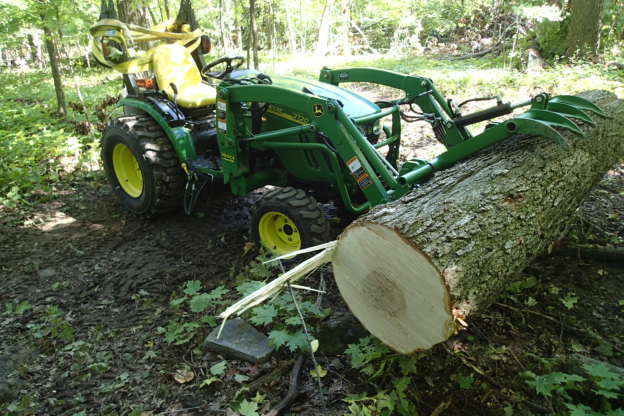 I can easily drive up to a fallen tree after its been cut to length and toss them into a trailer to get split. I dislike dragging trees in the woods cause they tear up the ground and they get dirt in the bark. Bad for saws. I only drag something when its in a place that is hard for the tractor to get into so that means hilly in my case. Just goes to show that there is no one right way to do things, alot depends upon your situation. No whipping and flogging ? Screwloose, amateur cutter and Backwoods Savage like this. Usually use a chain. Grab hook on one end and slip hook on other. Also have tongs. Sometimes use the dray. Sometimes just grab the logs with pallet forks. Whatever works to get the job done. I've even simply put a log on my shoulder and walk out, but this was in my younger days. That won't happen now. Screwloose, Backwoods Savage, amateur cutter and 1 other person like this. CTA, they are local to me so I drove over and picked it up. I have been using it for almost 4 years. 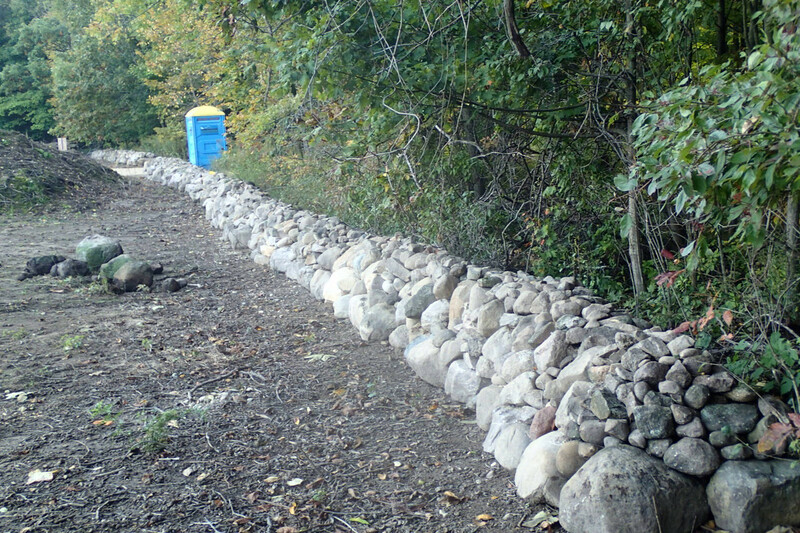 Moved lots of rocks and boulders with it. its about 500 ft long or so. Screwloose, Slocum, Stlshrk and 4 others like this. Screwloose, Winston, Slocum and 3 others like this. Thank you sir. I have a 500 series JD loader I wonder if they make a larger one? Have to give them a call. Screwloose, Slocum, Backwoods Savage and 2 others like this. 500 foot wall that awesome..
Screwloose, amateur cutter, Slocum and 2 others like this. Chains with one grab and one slip hook. 5/16 diameter high test. Varying lengths. Weld on grab hooks on the tractor's rear blade. I originally had it on and bought it for a JD 4610 with a 460 loader. It was a perfect fit on that. Yeah, I wanted to keep that when we finished building the house but my lovely Wife thought not. I told it would save me from running into the house all dirty and messy when I'm working outside. Hard to believe but she still said no. Who can figure. Choker chain and 3pt hitch for fetching. Pallet forks for stacking, etc. I'd love to have a logging winch on the back and grapple on the front, but I do have the $$$ for those. I know the feeling about the winch and grapple, but like us, you get the job done. Nice tulip poplar log too. Screwloose, gboutdoors, amateur cutter and 3 others like this. This was my favorite way, but those days are long passed retirement ! Screwloose, clay shooter, unclefess and 5 others like this.